Successfully Added Teclast X10 3G Tablet - Android OS, 1 IMEI, 3G, OTG, Quad-Core CPU, 10.1 Inch HD IPS Display, 4900mAh to your Shopping Cart. 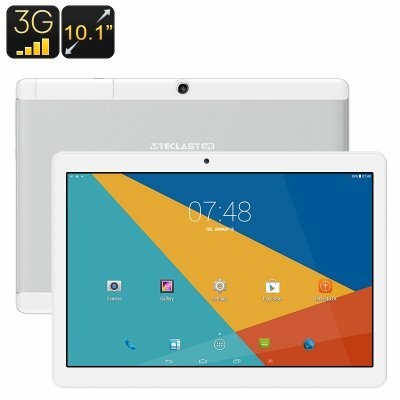 This 10 Inch tablet computer runs on an Android operating system that is guaranteed to provide a great user experience. With its epic 4900mAh battery, this budget tablet allows you to enjoy all its features for up to 5 hours continuously – getting you through the most demanding of days without needing to worry about draining your battery. No matter for what purpose you use this tablet, with its beautiful 10.1-Inch IPS HD display it will provide you with vivid color and stunning detail - letting you enjoy all this 10 Inch tablet PC has to offer to the absolute most. The Teclast X10 comes with a 12 months warranty, brought to you by the leader in electronic devices as well as wholesale electronic gadgets..
NONE WORKS GREAT CANT FAULT IT. This is one of the best low-end tablet. Although price is low, the quality is high. Feels and operates like brands costing far more.